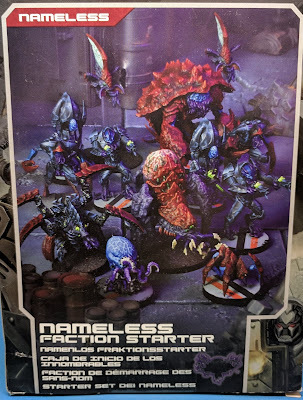 First up, like they have done for every army they have released (or re-released) for 2nd editon, they have a mega and starter army. 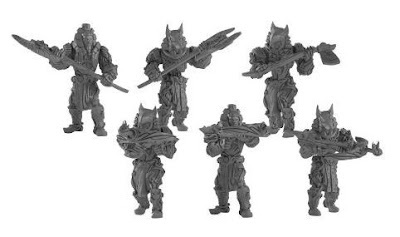 The mega army is basically EVERYTHING in the current release. 1 metal Pharaoh/High Priest model with alternate components. 1 metal Revenant Champion/Army Standard Bearer with alternate components. The smaller starter army is also a good deal, but not as great at the mega army. 1 metal Pharaoh/High Priest with alternate components. 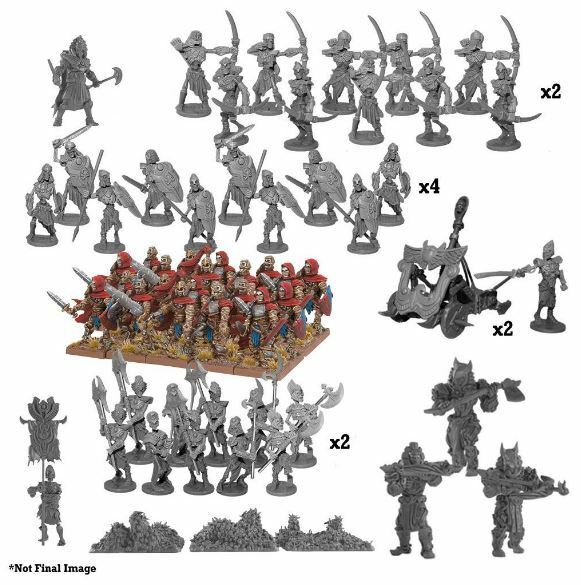 For those who just want allies, can't commit to an army box, or need to add on to your existing army, they of course have regiment sets. Skeletons are the core troop of the army. Revenants are the more elite infantry. It looks like Mantic is not blowing their entire wad at once - so may be saving a few sets back for August. The following are NOT on the release schedule (for July). 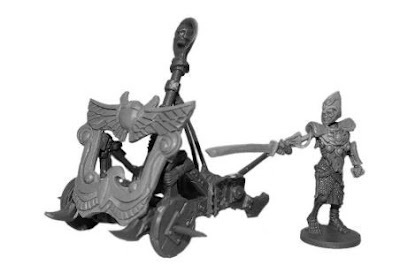 3 Metal Enslaved Guardians Large Infantry with Options for two handed weapons or crossbows - $29.99? 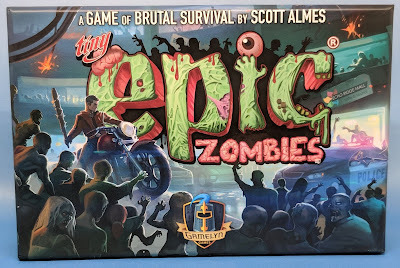 Where would any desert themed undead army be without the swarms of beetles and scorpions? 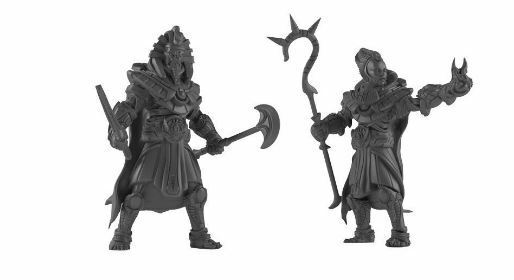 1 Metal Ahmunite Pharaoh or Cursed High Priest with alternate parts - $10.99? 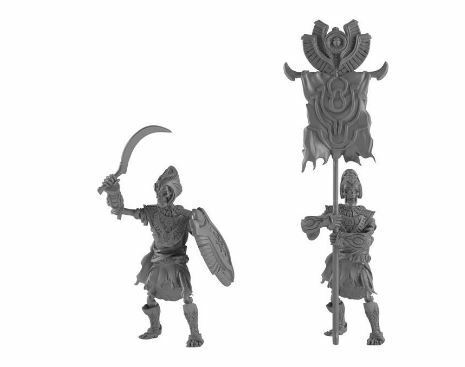 1 Metal Revenant Champion or Army Standard Bearer with alternate parts - $10.99? When I get confirmation of the MSRP (as well as item numbers) I will update these. 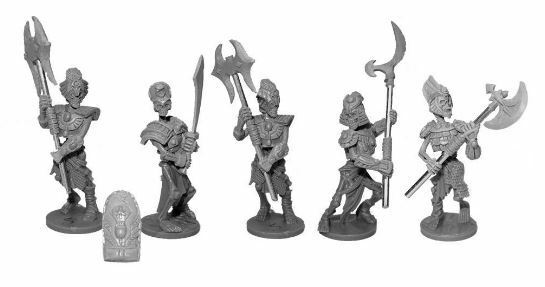 So for all the dry undead players that not only lost their rank and file game last year, but lost their army completely earlier this year - the Empire of Dust welcomes you to the Mantic Kings of War family. I've never played an undead army but those figs are making me want to stock up on gold and turquoise paint! 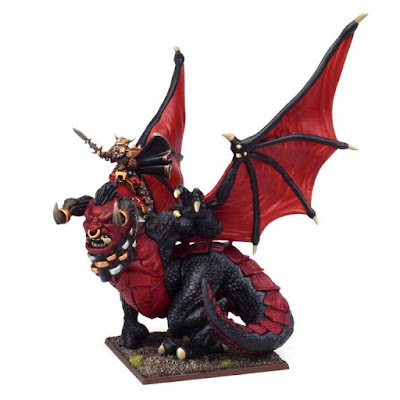 Great thing about Mantic is I can afford to buy a mega army as an impulse buy! The prices on that store look a bit too good to be true as there is very little additional cost for the kits with extra metal bits added. 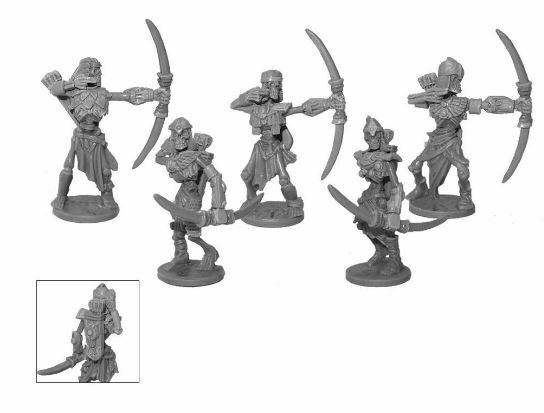 Undead skeleton archers are 10 for £18 on Mantics store while Mighty Ape sell 20 EoD archers for the same price. 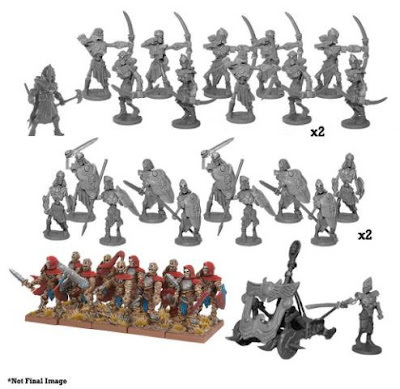 Meaning 20 EoD archers would be 50% off compared to buying 2x10 Undead archers from Mantic. Prices are my GUESS based on what I saw on the Mighty Ape store conparing to similar models - I have not seen the US MSRP yet. I get that. 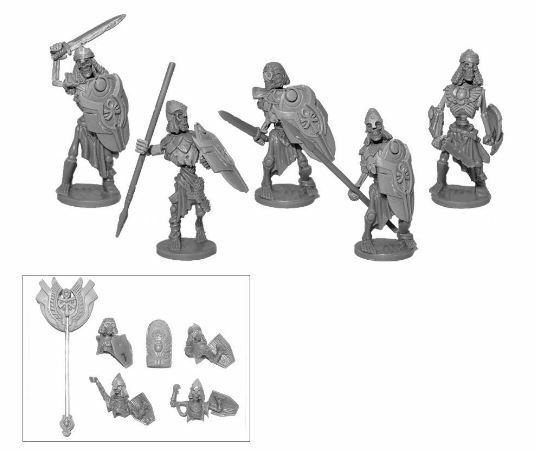 I wasn't implying that you ware making any statement on prices, I too looked at Mighty ape and compared to what they sell existing Mantic kits for. 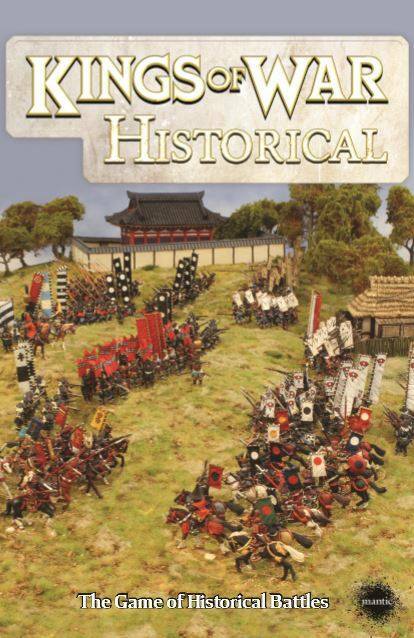 If Mighty Ape are selling the pre-orders at this price, and the price ends up a lot higher, they risk selling stuff at a huge dicount (which might be worth it to drive sales and get in orders early I guess). 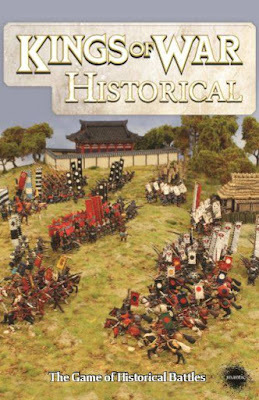 Well I'm the Hobbies Manager at Mighty Ape so I'm the one who does all the pricing :) Suffice to say I know what the RRPs for these releases are & our prices are the equivalent in local currency for our NZ & AU stores. Hopefully the existing hybrid kits will be brought in line with the pricing of the EoD kits. Mighty ape isn’t Australian, it’s actually a large New Zealand company that uses Australian Taxation laws to undercut Australian retailers by not having to charge GST. So the prices on there should be lower than you would expect. So I can load up on non taxed mini’s!!! !